"Time and again, this guidebook shines." The following information is for stores and libraries. 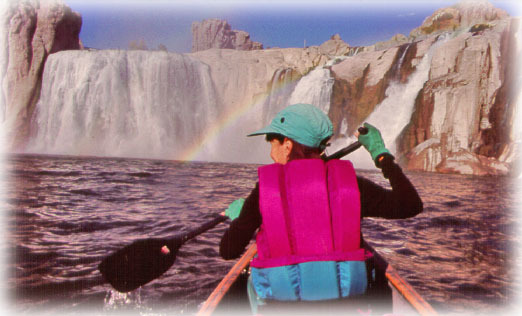 If you are an individual interested in purchasing Guide to Idaho Paddling, go here. We believe in and support small, locally owned businesses. We do not sell to Amazon and other corporate businesses such as REI. We also do not sell to wholesalers or distributors. Why no distributors? With distributors, we have no control of where books are being sold, and they end up in the hands of Amazon and others. We understand that not having a distributor means a little less convenience on your part, but it has one big advantage. It gives you the assurance that you won't have to compete with Amazon and chain stores. Ordering information below. Guide to Idaho Paddling is the first comprehensive guide on Idaho rivers which covers the state's flatwater and easy whitewater river runs. There are no death defying rapids here, just great laid-back trips down easy-going streams, and fun whitewater on exciting but safe and sane rivers. All the runs can be done in open canoes, kayaks, inflatables, paddle boards, and drift boats. The text is supplemented with enticing photography and beautiful, easy-to-use maps. The book has gone through 4 printings and was recently revised. It's an Idaho best-seller! We believe in and support small, locally owned businesses and we do NOT sell to Amazon and chain stores. 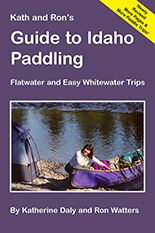 The retail cost of Guide to Idaho Paddling is $19.95. Order via Email or Phone: To order via email, use support@grc101.com. Or you may order via phone: 208.232.6857. Our mailing address is: Great Rift, 1135 East Bonneville, Pocatello, ID 83201. Pre-payments: If you pay in advance by check, we provide an extra 5% discount. Shipping: Shipping is billed. We ship book rate to help keep shipping costs low. Returns: the book sells quite well and we have never had deal with returns, but if you end up with left-over books - and the books are in good shape - then we will accept returns. Contact us in advance if you need to make a return. 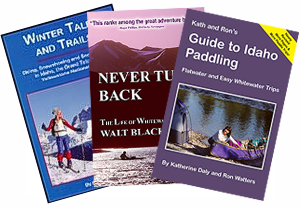 Other Books: We also publish Never Turn Back (the best selling book on whitewater adventure) and Winter Trails & Tales (Where to cross-country and backcountry ski in Idaho, Yellowstone and the Tetons). Finally a book for the rest of us! There are plenty of books on Idaho rivers for advanced whitewater river runners, but this book, covering nearly 100 different river segments, is one that can be enjoyed by the whole family. Katherine Daly and Ron Watters were the perfect team to do this book. 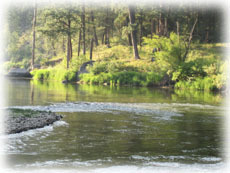 Experienced river runners and outdoor writers, they put a lot of loving care into this book. The maps are works of art: accurate, understandable and usable on the river. 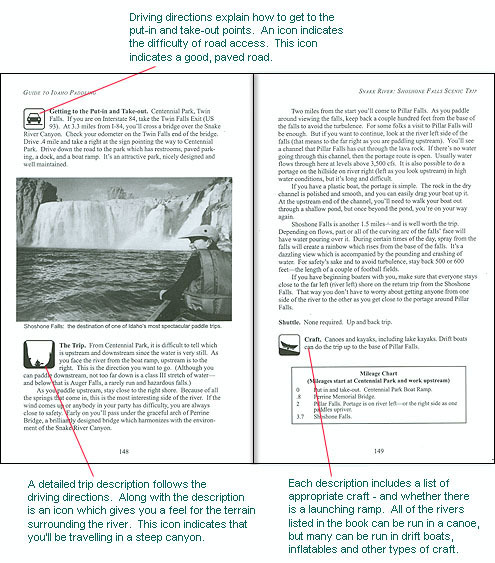 To make the book easy-to-use, they supplemented the text with symbols which quickly encapsulate the river's difficulty, condition of access roads, surrounding terrain, and other features of the river. Mileage charts are included which are invaluable for pinpointing location while running the river. And there's information on fishing, wildlife, seasons, water levels, boat ramps, scenic attractions and much more. All the rivers in this book can be done in an open canoe, but are also suitable for kayaks, inflatables, and drift boats. 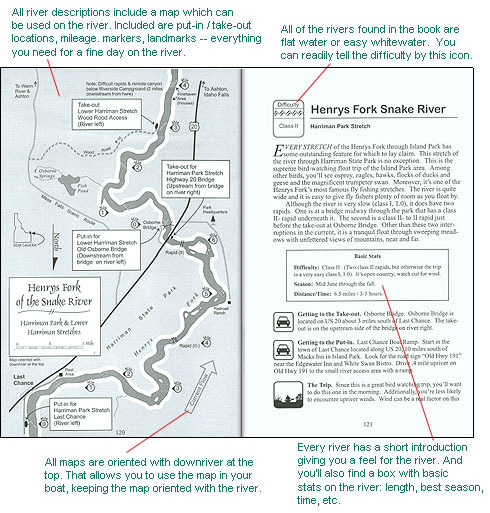 "This is, by far, the best organized, most helpful [guide] I've seen . . . . "
Full Review: "This book has excellent descriptions of both the rivers and the roads that lead to the put-ins and take-outs. It's fun and easy to read. I often find myself looking through it and dreaming about the next canoe trip in the spring. I've used many floating guide boats and this is, by far, the best organized, most helpful one I've seen." "I wish every state near me had such a great water guidebook like this . . . . "
Full Review: "This is exactly what I was looking for in a canoeing guidebook. Kathy and Ron breakdown the current river classification of Class I waters, into more detailed ratings 1.0-1.5, giving detailed descriptions of each level. Familes can do alot of these runs. The books consists of flatwater rivers and a few easy whitewater rivers just to spice things up a bit and get a bit of practice. I wish every state near me had such a great easy water guidebook like this." 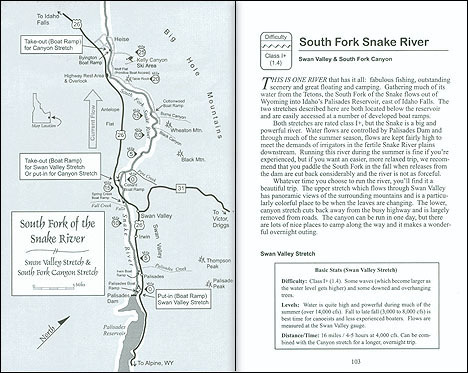 "Enjoy these easy-going streams . . . . "
The sample pages, below, illustrate the abundance of graphical material which makes the book so visually appealing and eminently useful when on the river. If you'd like to look at some samples of the writing found in the book, see Excerpts.